We all want backlinks from some high PageRank websites and blogs so we can improve our search our engine rankings, in order improve our Google PageRank as well as improve Alexa rank of our blogs and websites. But where can you get these high PR Dofollow backlinks? 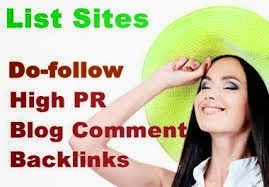 There were numerous ways to get high PR Dofollow backlinks in past, there were many different search forums which had pageRanks like PR8 and PR7. I must admit it over here that it was never easy to get backlinks from PR10 and PR9 blogs as there were and still are few of them available that it becomes difficult to obtain links from these blogs. During recent times, Google has reduced PageRank of some of high PR forums that existed as they were usually linking out to many blogs and websites. Some had made a business out of selling high PR links to some other blogs, which is not good practice. If you are a YouTube partner or you know someone who is, then you can always add your blogs link in the channel page and video pages of YouTube partners channel as well. These PR9 Dofollow backlinks can increase your blogs PageRank as well as traffic quickly and easily. You can create an account on www.Adobe.com and then update your account with links to your blog.www.Adobe.com is also a PageRank 9 website and hence links from this site can be very useful. But general consensus is that these links may not be Dofollow, but it is worth a try given that a PR9 Nofollow link is extremely useful. Similar to Adobe.com, Mozilla.com is also a PR9 website which allows you to sign up and then create a profile where there is also an option to add a links to your blog or website. Getting PageRank 8 Dofollow backlinks is little easier than getting PR9 links, but a difficult task to accomplish. A similar process of signing to websites and filling out profile with links to your website or blog can be also used in the following list of PR8 websites. Almost all the Wikipedia articles are known to be PageRank 7. One more things to remember is that all Wikipedia pages are editable by the users who sign up. So you can sign up and then edit a post that is related to your blog and website and add reference to it thus linking to your blog. This is a good way to achieve PR7 Dofollow backlinks easily but make sure you do not deface the Wikipedia articles or spam them. Getting PageRank 6 Dofollow backlinks is easier as compared to rest of the high PR backlinks. There are many different blogs which are PR6 and let their guest bloggers to blog on them and they also allow a link back to their guest bloggers blog. 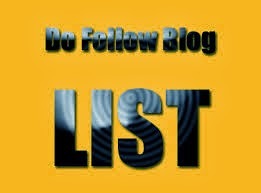 This is best way to achieve high PR Dofollow backlinks. Hopefully these tricks will help you achieve high PageRank backlinks from some brilliant websites. These links will surely boost your Google PageRank as well your website traffic. Hello Admin thanks for the great info on high PR building. Awesome info. can you tell me can i buy any complete SEO linkbuilding services Quick links for my Newby Website? Help me How to get Wikipedia backlinks.